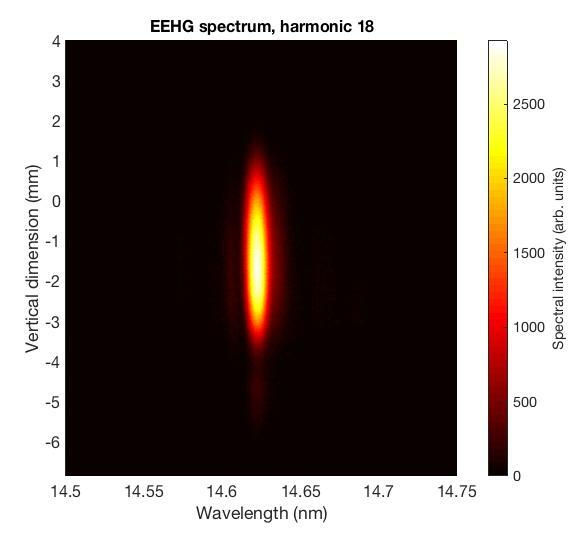 Echo-Enabled Harmonic Generation (EEHG) has been proposed as an efficient method for extending external seeding techniques in Free-Electron Lasers to the few nm wavelength range. During a dedicated experiment at the FERMI FEL, the capabilities of EEHG have been demonstrated in the EUV spectral range for the first time. First measurements, done at 14 nm, show amplification of the EEHG bunching in the FEL radiator, allowing generation of very narrow bandwidth FEL pulses with energies of several tens of uJ. The successful experiment is the result of a fruitful collaboration between the FERMI team at Elettra Sincrotrone Trieste and scientists from international laboratories including SLAC, PSI, MAX IV, Soleil, DESY, LBL, ANL and Shanghai Jiao Tong University. The experiment will continue during the next months with the goal of extending the EEHG capabilities down to the soft-X-ray wavelength range.